A clear 'hit' here we have a prediction for this 4.0R in Greece. 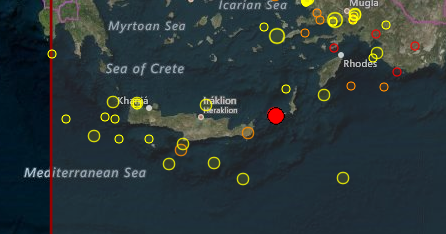 The good thing about Greece is that not all earthquakes are on land but many are taking place below the sea. This one was 40km from the island of Karpathos.